People don’t seem to entertain much in their homes anymore. Maybe it’s their busy lives or a lack of confidence in their cooking abilities, or their self-consciousness about their homes. I like to have people over. Not all the time, of course. I love going out to eat where someone else has planned the menu, shopped for the ingredients, cooked and cleaned up. It’s generally worth every penny. What makes a meal great for me is the company. 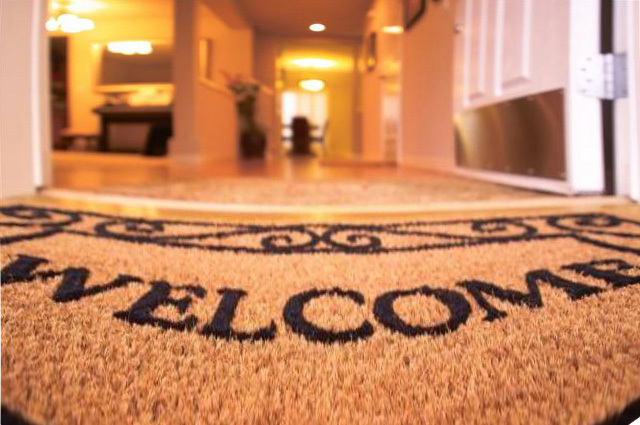 Home hospitality invites people into your private world, if you are so inclined. Some people find it too invasive and stressful. For me, it is a way to connect with people and share values and customs. My children learn how to be hosts and hostesses. They have to engage guests in conversation, make everyone feel welcome and comfortable, and help with the dishes. They put their devices down and make eye contact. And they learn to speak with adults who are not their parents, teachers or coaches. It doesn’t matter if you buy prepared food and serve it on paper plates or cook a feast served on your china and crystal. After all, what’s the use of having all those beautiful things if they are only going to be used as decoration behind glass or stored in a closet? Using them lends beauty and a special aura to a meal. It creates memories for our children, who will in turn be happy to use them when we pass them along the family chain. My mother was a master of entertaining. She made everyone feel warm and welcomed. She was so skilled at making her table look beautiful and her food delicious while also pleasing to the eye. She prided herself on “assembling” meals, a mixture of store-bought items which she would masterfully spruce up and home-made foods. I can only share this secret now that she is gone. I think she wouldn’t mind. Okay Mom? The truth is, people are happy to be invited and not have to cook. Unless you’re a world-class chef or the food is vile, no one will remember what they ate. And no one cares if you spent days slaving in the kitchen or merely a couple of hours. What they will remember is the feeling they had while in your home. This entry was posted in Family and tagged cooking, entertaining, Family, hospitality, Parenting. Bookmark the permalink. Your mother snd I used to prepare meals that way together in Israel and we always had fun and delicious times… I miss her too! Well said, Susan. I like restaurants too, but they are noisy and impersonal. Judaism, with Shabbat and holidays, keeps hospitality alive and nurtures it. You said children learn to be good hosts – they also learn to be good guests. Spoken like the daughter of the Master. Like Mother Like Daughter. P S What’s for Dinner?